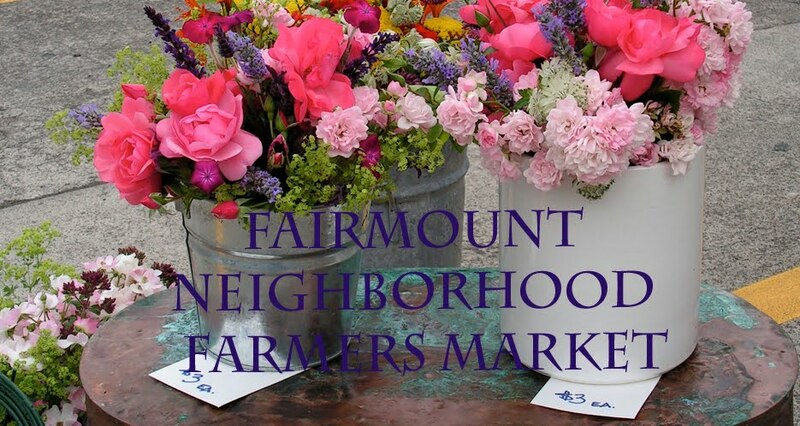 Tomorrow at the Fairmount Neighborhood Farmers Market, you can look forward to plenty of summer corn, summer squash, peppers, and tomatoes from Good Food Easy at Sweetwater Farm, pastured meats and eggs from Fair Valley Farm, and beautiful fresh cut flower bouquets from Tiger Lily Art Company. 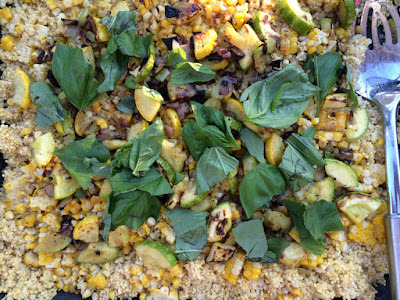 To use up the leftovers from our latest batch of grilled corn on the cob, I cooked up a pot of yellow millet and combined it with roasted summer squash wedges, yellow peppers, and onion, topped with a shower of torn basil. This cheerful yellow grain and vegetable side made a perfect accompaniment to several meals during a sunny summer vacation week. 1. In a medium pot, combine 1 cup of millet, 2 cups of water, and a pinch of salt. Alternatively, if you've grilled the corn ahead, cut the kernels from the cobs and boil the cobs in 3 cups of lightly salted water for 15 minutes to make a quick stock. 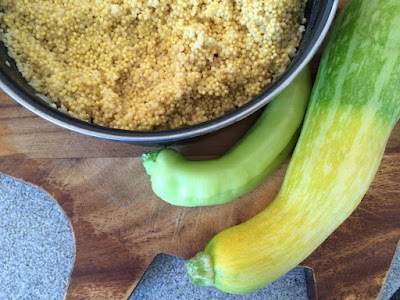 Use 2 cups of this stock for cooking the millet. Bring to a boil, reduce the heat, cover, and simmer for about 15 minutes, until the millet tastes cooked. Remove from the heat and allow to sit for at least 10 more minutes. 2. 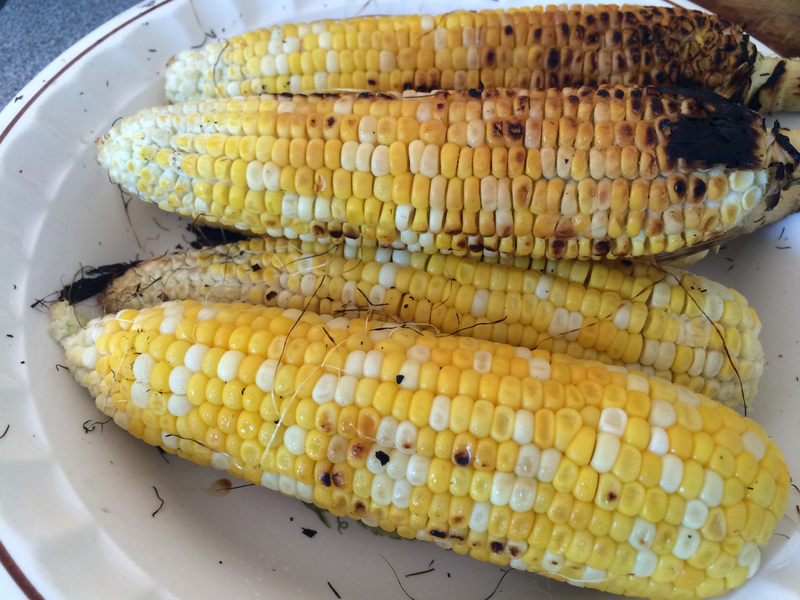 Remove most of the husks from the corn cobs, leaving a single layer of leaves, and grill on a hot grill, rotating, until the cobs have become quite charred. Remove from the heat, allow to cool enough to handle, and remove the remaining husks and silk. Use a large knife to cut the kernels from the cobs and reserve. 3. Cut the summer squash into half or quarter moon slices. Core and chop the peppers into small wedges. Peel the onion and cut into small wedges. Toss the squash, peppers, and onions with a glug of olive oil and a generous pinch of salt. Grill on a vegetable rack over the grill or roast on a baking sheet in a 450 oven, flipping occasionally, until the vegetables are softened and have started to char. 4. Combine the millet, corn kernels, and other vegetables in a big serving bowl. Drizzle with a bit more olive oil. Taste for salt and add more if needed. Garnish with torn fresh basil leaves. Serve warm or at room temperature.